Rent TENROC EVENT CENTERS, INC | Corporate Events | Wedding Locations, Event Spaces and Party Venues. Escape to Tenroc Ranch. Nestled in the Hill Country, with breathtaking natural beauty where easy and relaxed is the perfect setting from formal to country chic. Available for a variety of events, including weddings, reunions, banquets, proms, receptions, and corporate meetings. ♦ Indoor Facilities Totaling 4,000 to 5,000 sq.ft. 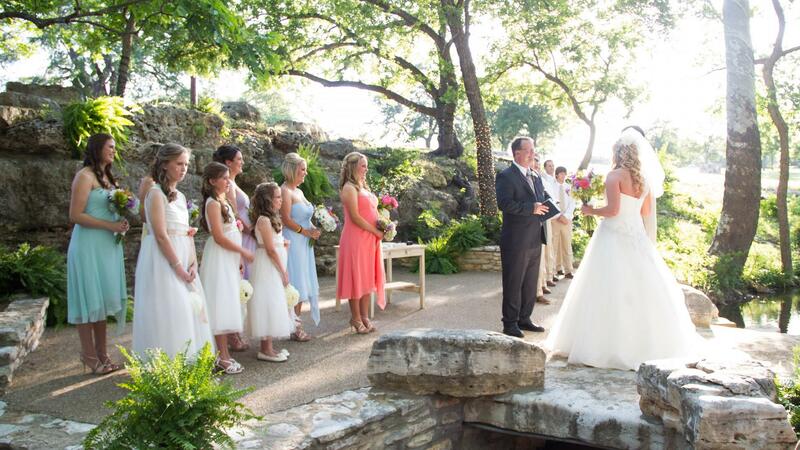 Imagine exchanging your wedding vows under the majestic native oak trees. The Blue Heron setting is ideal for your special day, family reunion, prom, company conference or religious retreat. A bar area and fully equipped catering kitchen are available for the caterer of your choice. This facility is complete with separate quarters housing dressing rooms and relaxing areas for both the bride and groom and their attendants. The outdoor ceremony site accommodates 200 chairs for guests. Ample parking. Enjoy our country and creek side setting amidst ancient oak and pecan trees. Sirena is ideal for your special day, family reunion, prom, company conference or religious retreat. A bar area and fully equipped catering kitchen is available for the caterer of your choice. This facility is complete with separate quarters housing dressing rooms and relaxing areas for both the bride and groom and their attendants. The outdoor ceremony site accommodates 200 chairs for guests. Ample parking. This casual event center, is great for fund raisers, family and class reunions, company functions, and country "Chic" weddings. All tables and chairs are provided. Ample parking with privacy and tranquility at its best.